Bruce Bennett and Jennifer Lind provide what can only be described as a most timely analysis of the challenges facing external actors in the event of a collapse in North Korea following “the most difficult challenge that such regimes face: succession” (84).They correctly identify not only the internal weaknesses of the Democratic People’s Republic of Korea (DPRK) and the daunting prospect of a truncated transition period, but also the difficulties and dangers faced by the international community in addressing a potential collapse. Underlying trends leading to collapse include the destabilizing effects of a chronic lack of food combined with uncertainty about who is in power (91). The authors see Kim Jong-il’s sudden death or incapacitation as the potential trigger for a power struggle and subsequent government collapse, due to the limited time spent grooming his successor, Kim Jong-un, and the candidate’s extreme youth (84). And a “government collapse in North Korea could unleash a series of catastrophes on the peninsula with potentially far-reaching regional and global effects” (84). These effects would include a humanitarian crisis leading to a massive outflow of refugees, North Korean weapons of mass destruction (WMD) finding their way onto the international black market, and, potentially, in the absence of sufficient international coordination, conflict between the countries likely to intervene, the People’s Republic of China, the Republic of Korea, and the United States (85). The purposes of Bennett and Lind’s investigation are, first to inform the public policy debate about how serious, imminent, and complex would be the challenges posed to all actors by a collapsed North Korea, and second, to provide a framework for thinking about international intervention in collapsing states (86). Based on an optimistic scenario of the characteristics that an impending collapse might take – “that it occurs in peacetime, without prior military mobilization; that North Korean leaders are fleeing the country or hiding, rather than preparing for a fight; and that North Korea’s military does not offer significant resistance against stability forces” – the authors estimate that 260,000–400,000 ground force personnel would be required to stabilize North Korea (86, 89). This is significantly more than the combined U.S. deployments in Iraq and Afghanistan, and with commensurately greater troop commitments required by intervening powers should the collapse take a less benign form than the one described above (86). These figures are, incidentally, substantially in line with estimates provided by senior military figures in the South Korean armed forces when interviewed. Thus current South Korean plans for a military draw-down (as well as those of the United States) may be ill advised (87, 118). Bennett and Lind base their estimates on models of stability operation force requirements provided by different analysts, based on the size of the population to be controlled. These range from four soldiers per thousand people in the population to twenty soldiers per thousand (92). They favor a ratio of thirteen soldiers per thousand, but in a staged, or as they put it, tiered deployment, whereby stability is established in sequential stages from the South, combined with humanitarian relief efforts through the two major North Korean ports of Nampo and Chongjin (93-96). When reaching the figure they say will be needed to deal with dramatically increased refugee flow and migration following the collapse of central authority, the authors favor a similar system of analysis (prior instances of policy prescription and implementation ranging from three to twenty-two agents per kilometer) before arriving at a mid-range seventeen guards per kilometer on the Russian and Chinese borders, or approximately 24,400 in total (98-100). They assume that, initially at least, the “existing South Korean military presence along the demilitarized zone [DMZ], not to mention land mines and other obstacles, would be sufficient to prevent refugees from entering South Korea” and also that a stability operation would be performed, making large-scale refugee flows much less likely (100). 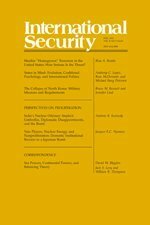 The authors identify securing and eliminating North Korean WMD as a third vital mission, requiring significant intervening military forces. Again, based on historical case studies and analysis of specific difficulties and conditions on the ground in North Korea, they reach a projected figure of 3,000–10,000 personnel needed for the WMD elimination mission (100-104). In order to disarm various groups (disarmament, demobilization, and reintegration or DDR) drawing on comparisons with East Germany and Cambodia, they estimate that 49,000 troops will be required (104-108). Finally, 7,000-10,500 troops would be required to defeat islands of resistance and deter practices that would undermine future peace and security (110). Here, despite the high quality of the scholarship, there are some limitations. The analysis rests on a number of assumptions that deserve to be investigated further than are currently addressed in the article. The first is that the DPRK will collapse; second, this collapse is imminent (indeed, that it will follow soon after the demise of Kim Jong-il). Third, such a collapse will necessitate military intervention by one or more international actors, and fourth, military intervention is the best or only option. The authors express their awareness of some of these shortcomings, very briefly outlining three alternatives to collapse (“muddling through”, a successor dictatorship, or peaceful unification with the South), as well as less benign collapse scenarios (87-89). They also acknowledge that other commentators may be more optimistic or more pessimistic (110-112). Their treatment of these non-conforming scenarios, and their assertion they are right to choose the alternative they have “not because it is the most plausible, but because it is the most analytically useful” remain, however, unsatisfying (89). More specifically, their assumption that refugees will not head toward the South in any great numbers due to the existing military forces and obstacles along the land border ignores the possibility of North Korean boat people. The assumption that a refugee crisis can be averted by an ongoing stability operation is overly optimistic. In addition, while the authors have made a strong (and perhaps obvious) case for the necessity of coordination between potential intervening powers in order to avoid conflict between them, there is an underlying assumption that such an accord can be reached. In fact, the difficulties associated with achieving the levels of coordination and trust required between potentially hostile great and regional powers may instead prove the necessary spur to the international community to act to prevent a North Korean collapse, thereby increasing the likelihood of one of the other scenarios happening. Likewise, prescribing scale-up rather than scale-down of South Korean or any other military forces assumes the capacity and political will to do so. In fact public opinion in the Republic of Korea is broadly in favor of scale-down. Another assumption about the internal political operating environment concerns re-unification. Bennett and Lind blithely assert that the South would seek reunification with the North (112), but this is not a given. As South Koreans become aware of the costs involved, they are increasingly turning away from precipitous unification. The authors seem to rely almost exclusively on the work of, and interviews with, international policy analysts, academics, and commentators, without reference to public opinion, policy makers, or the military of South Korea. In addressing the composition of any likely intervening force, the authors do not develop sufficiently the point that any force inserted by one side is likely to be countered by the other. Depending on the dynamics of the relationship between the interveners at the point of collapse, this could either necessitate greater or lesser numerical commitment by each side. In attempting to provide a general model to fit any and all intervening forces, they have missed the specific strategic considerations unique to each intervener and to the dynamics between them. Indeed, the force composition section is perhaps the least compelling. In the final analysis, of the two objectives stated above, only the first, that of bringing to public debate how serious, imminent, and complex would be the challenges posed by a collapsed North Korea, is really achieved. There is no truly generalizable framework. Nevertheless, the achievement of the first objective is significant. As Bennett and Lind themselves point out, their analysis serves as a wake-up call and warning for both optimists, in that the “best-case” collapse scenario they present will produce extremely demanding force requirements and complex negotiations between potential interveners; and for pessimists, in that if a best-case scenario produces such demands, there is a need for even greater contingency planning for worse or worst-case scenarios (111-112). In particular, their identification of the five principle military missions which would need to be pursued simultaneously in a coordinated manner, and should be extensively planned in advance, together with the troop estimates for such projects, should serve to focus the minds of those who are ultimately responsible for making such contingency plans. It seems that in recent international interventions a lack of synchronous planning has been at the root of many post-bellum problems. It will be interesting to see the impact of this work in South Korea, among both planners and the public, and to read any follow-up analysis by Bennett and Lind in the light of recent developments. Brendan M. Howe is Department Chair at the Graduate School of International Studies, Ewha Womans University in Seoul, and has served there as a professor of international relations since 2001. He has been a Visiting Research Fellow at the Centre for International Security Studies, Sydney University; the Research Institute for Strategic Studies, Korea National Defense University; the East-West Centre in Hawaii; and Georgetown University. He previously held posts at Beijing Foreign Studies University and Universiti Malaysia Sarawak. He has published extensively on North Korea, human security, security decision-making and East Asian security.